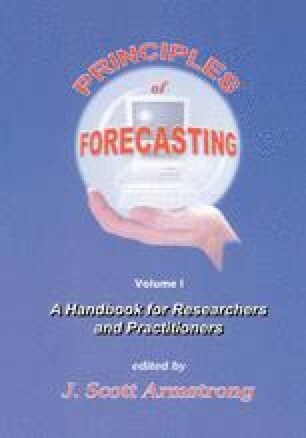 Overconfidence is a common finding in the forecasting research literature. Judgmental overconfidence leads people (1) to neglect decision aids, (2) to make predictions contrary to the base rate, and (3) to succumb to “groupthink.” To counteract overconfidence forecasters should heed six principles: (1) Consider alternatives, especially in new situations; (2) List reasons why the forecast might be wrong; (3) In group interaction, appoint a devil’s advocate; (4) Make an explicit prediction and then obtain feedback; (5) Treat the feedback you receive as valuable information; (6) When possible, conduct experiments to test prediction strategies. These principles can help people to avoid generating only reasons that bolster their predictions and to learn optimally by comparing a documented prediction with outcome feedback.